[post_content] => TIRANA, Mar. 4- In the north of Albania there is a recent initiative being taken titled “Create your oxygen, plant five trees” for combating deforestation and air pollution. The largest forest areas are located in these regions of Albania, however after 1991 the woods have received multiple damages to this national treasure due to mismanagement, illegal cutting, and massive fires. Five thousand trees were planted recently mainly in the areas of Puke and Malesi e Madhe, in initiative taken by schools, local public institutions and the community. “Greenery is an absolute necessity, and now everyone knows that a healthy life comes from a healthy environment. In these two days we hope to be able to plant the goal of five thousand trees, starting from Fushe Arrez, Puka, Shkodra and Malesia e Madhe,” said Cesk Midhja from the prefecture of Shkoder. The regional authorities urged people for this initiative to be undertaken. One thousand and five hundred trees were built only in the area of Malesi e Madhe. Midhja said that people should become more accountable to protecting trees and this initiative may very well serve as an awareness campaign for the citizens. One thousand trees are currently being planted around the natural reservoir surrounding the lake of Shkodra. This information is stated by Agim Dardha who serves as director of the National Agency for Protected Areas for the region of Shkodra. He said that the aim of this initiative and its organizers isn’t only the preservation of these ares, but also their management and utilization for guaranteeing a stable tourism in  the region of Shkoder. “Fortunately our region has many option for tourism, starting with the sea, lake, river, and the mountainous areas. With the melting of the snow which will allow the opening of the roads, we will be sending 20 thousand other saplings to plant along, so we can increase the greenness in that area” said Dardha. He said that Malesi e Madhe has a large woodland space, but over the years it has been damaged, regardless of the pricey fines imposed on individuals who have committed illegal woodcutting. Thus, the four big municipalities of the region of Shkoder have united in this fight to save the north’s forest, and as a result its environment. In the territory of Malesi e Madhe are included the Albanian Alps with Kelmend, Vollga or Razem, which are highly touristic attractions for their scenery. These areas have attracted more tourists in the recent years due to improved infrastructure. This has positively affected the economy of the area and its residents, but the deforestation could potentially lead to decreased visitors. “I urge all the residents and villagers to plant trees, starting from the garden of their houses, the streets of their neighbourhoods in the city or village they inhabit,” said Marinaj. According to data Albania is supposed to have 1,5 million hectares of forests within its borders. Due to deforestation and damages from the past 20 years, only 400 thousand hectares of forests are left. Many of these lands are desolated, barren and to some others the ecosystems are highly harmed. Due the lack of state control in the vandalism to our ecosystems has affected in the river and lake draughts, extinct animals and plants, and high levels of smog and carbon dioxide. Tirana especially was the fourth most polluted city in Europe for 2018, with 79.14 pollution index. 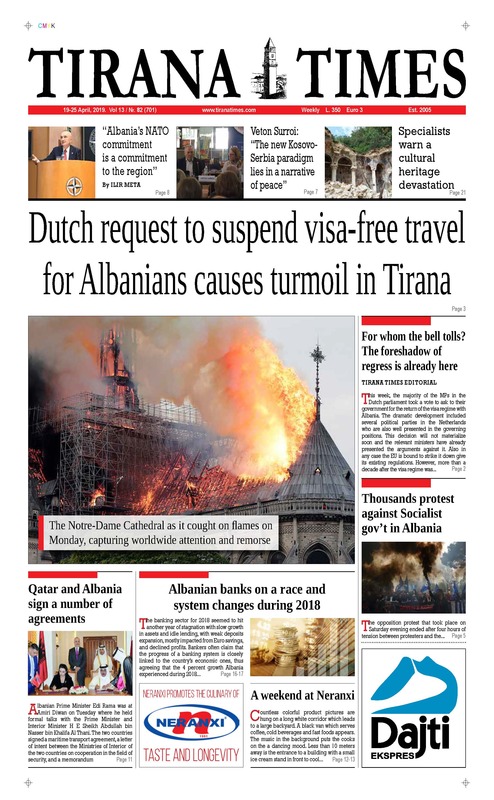 That number became higher in 2019, at 82.83 pollution index, ranking Tirana the 38th most polluted city in the world. This is especially strange as Mayor of Tirana Erion Veliaj has been going around the city planting trees, the gas prices have increased, and the government passed a law imposing higher taxes on cars older than 10 years (produced earlier than 2009), which emit high carbon dioxide. [post_content] => TIRANA, Mar. 6- “The complete history of the humankind will be written when Albanians will participate in it,” has said albanologist Maximilian Lambertz. This phrase was used by current Austrian Ambassador to Albania in the introduction of a collection of papers titled “Austro-Hungarian Monarchy and Albania in 1916-1918.” The book was introduced during a scientific conference held in the framework of the Austrian-Albanian year 2018. This book comes after an intensive work among of the Austrian Embassy in our country, the Foreign Ministry of Austria, the Albanian Ministry of Culture, and the National History Museum in Tirana. Maximilian Lambertz is one of the most renowned Austrian albanologues, who was the only scholar in the Albanian Literary Commision in Shkodra during 1916-1918, which on its behalf was the first meeting that led to a unified Albanian language. “This collection of research papers can be described as a contribution to writing humankind’s history, because in it have contributed history professors, military professors, archeologists, museologists, linguists, political scientists, and albanologues both from Albania and Austria. These papers comprise a special interest for the reader, because they don’t only display the historical development of events, but go beyond that by contextualizing the of administrative, educative, scientific, and socio-politic progress in the subsequent set-up of the Albanian state,” said Sattler in the conference. Ambassador Sattler mentioned some examples written in the papers. For instance the building of the first railroad line in Albania that went from Shkoder to Berat, the establishment of more than 231 Albanian schools, the establishment of the Albanian Literary Commission, the first interinclusive Albanian census, etc.. He recall that during the Austro-Hungarian military administration in Albania, the institution, the military, the infrastructure, and the language itself experienced a modernization burst. However, this was a period of war and invasion which apart from the many positive effects Albanian received, there were many negative aspects too, which are more than rational under such circumstances. The scholarly book also mentions all these facts and angles to allow a more comprehensive historical perspective on the period. Authors to have contributed in the book are Paskal Milo, Tamara Scheer, Marenglen Kasmi, Valentina Duka, Kurt Gostentschnigg, Proletar Hasani, Beqir Meta, Ledia Dushku, Ilir Kalemaj, Enriketa Pandelejmoni (Papa), Erwin A. Schmidl, Gentiana Kera, Anila Omari, Aljula Jubani, Bendis Kraja, Izer Maksuti, Rovena Vata, Luan Perzhita, Dorian Koçi and Skender Bushi. Historian and director of the National History Museum Dorian Koci observes that the report in the collection speaks of a short historical time-frame filled with many complicated processes of political, socio-economic and cultural characters. As a result it creates an empathy in the public opinion too, apart from the lines of scholars. Koci mentioned that 1916-1918 corresponds to an independent Albania under the suffocating atmosphere created by War World I (1914-8), especially in a small, newborn country like Albania. “As history tells us, the Albanian territory would turn into a world war zone at the beginning of 1916, with the scope of the center bloc forces where Austro-Hungary and Bulgaria were included, and their confrontation with the Antanta bloc,” said Koci. He added that this was a period characterised by high nationalistic sentiments by the neighboring countries, which took the shape of an armed war that led to a territory annexation in damage of the Albanian state. Regardless of the context of war riots, inner conflicts, and efforts to preserve the borders through diplomatic or war means, the relations between the two countries displayed attempts to revive the culture and science in the life of the citizens. In this framework the diversity of the relations between Albania and Austro-Hungary in 1916-1918 are much wider than what the conference time-restrain allowed to express. Dr. Koci stressed that it is precisely the nature and intensity of these reports regarding the impacts of politics, diplomacy, cultural, educational, scientific, archeological, museological, and linguistic developments, united the scholars to share their research in the fields of study. TIRANA, Mar. 4- Apart from all the political turmoil in our country, the parliament recently was succumber by a more delicate debate regarding the eagle of Albania’s national flag. As a culture in Albania our flag has a more than a patriotic meaning or symbol for our people. It also deeply reflects our history of overcoming centuries-old hardships and invasions. Even though the two headed eagle isn’t the only state symbol for Albania, but more countries around the Balkans and even Russia have adopted it. It is claimed that the first to have used it were the Roman Empire. It was then adopted by the Byzantines, under which our country have been occupied during the 14th century. The symbol then however, was a two-headed eagle with a star between their neck-parting on top of a golden field. During the time of Skanderbeg, he adopted the same figure but contrasting with the lack of the star and on top of a red field instead. However, the double headed eagle was then a symbol of power. Even though Albania had officially parted from the Byzantine Empire following its fall, the eagle was widely used regarding its symbol of power. These emblem was adopted in 1451 and started being widely used afterwards by great Albanian figures. The flag was also adopted during the National Awakening which led to the Independence of 1912. Ismail Qemali urged the two-headed flag eagle on a red field to be used as the national flag for our newly established state. It was the same symbol used by Skanderbeg, who is proclaimed our national hero. Some legends even claim that the flag raised in Vlore after the declaration of Independence by Ismail Qemali and 42 delegates, is Skanderbeg’s flag. But those are only legends. There is a very lovely old legend regarding how Albanians got their name Shqipëri and how our country remained to be known as the land of eagles. The story follows a young boy who went out for hunting and saw a majestic eagle landing on top of a rock, which had a snake in its beak. On top of that rock the eagle also had its nest. It left the snake there and then it flew away. The boy went to see the nest and saw a tiny eagle playing with the snake. The snake though wasn’t dead and attempted to eat the tiny eagle. The boy took out his boy and immediately killed the snake. He then took the small eagle home with him. But then the majestic eagle went to his home, asked him why he took its child. “The child is mine because I saved it from the snake you did not kill,” said the boy. “Return to me my child, and as a reward I will give you the acuity of mine eyes and the strength of my wings. You shall become invincible, and you shall be called mine name!” replied the eagle. The boy returned the baby eagle to its mother, but when they both grew up, the baby eagle would always fly above him, who was now a man. The young man killed many wild beast with his bow and slew many enemies of his country. His eagle friend always followed him. For his bravery the young man was made king and named “Shqiptar” which means “son of eagle” (eagle in Albanian is shqiponjë), and the kingdom was called “Shqipëri” or the Land of Eagled. The two heads of the eagle in our national flag then represent the north and south, which were separated in dialect and religion, but united in nationality. According to the law our national flag’s eagle has nine feathers in its wings and seven in its tail. However the flags that have been circulating in the inner market lately are Chinese products of a distorted eagle, which doesn’t even look like a normal bird. And in fact many more souvenir products being sold to tourists are Chinese products. But before getting any nationalistic feelings, this is a pragmatic solutions used for many other products, and for many souvenirs even in developed countries. The issue however remains the distorted image of the eagle that these products held. A many people didn’t even notice the difference, and before they could even notice it, the products and the tiny flags succumbed the Albanian market and stores. Suddenly the whole square was filled with such wrong representations of the flag, that a scandalous rumour had it that even the president of Albania had one of these fake flags hanging on his residency. He mentions an episode of former Socialist Movement for Integration deputy Luan Rama who asked for accountability in the parliament regarding such defects on our national emblem. He had previously accused the Ministry of Foreign Affairs of using the white eagle it has adopted in its institution, which is actually a Slavian symbol. Yet, no one seemed to be doing anything about the misrepresentation of our national flag in our streets and creating false memory. As aforementioned the emblem of the two-headed eagle is used by many other countries, as it symbolizes freedom and power. But the shape of Albania’s eagle doesn’t converge with that of those of the Slavs, Germans, Russians or Austrians. “The Eagle is a symbol which natural habitat has the flag. It has been specified by [Marin] Barleti for the eagle in Skanderbeg’s flag. This flag has also cycled during the National Awakening. They redesigned it, reformulated it according to Barleti’s dictum and made an excellent eagle. Since that of societies Vatra, or Drita, the eagles are beautiful, black, with their opened and spreaded wings, which seem dynamic and unique,” has written historian Pellumb Xhufi. Thus it is very well stated that the colors at least cannot be changed, as in the situation of the Ministry. However, there is a living heraldist, Mr. Gjin Varfi, who is also renowned for a book on Albanian heraldry he published some time ago. For some time now his opinions have been totally disregarded, just as our state’s institutions have been totally disregarding our national symbols too. But beyond Mr. Varfi and his colleagues, or our government leaders, I raise the question, how can people who regard our national flag and especially the eagle so high, let its distorted figure in the fake flags go totally unnoticed? [post_content] => TIRANA, Mar. 7- The OSCE survey conducted in Western Balkan countries represent a reality that many women face in their everyday lives. A narrow-minded mentality which damages the psychology of women and therefore their lives. To tackle this global phenomenon there have been many movements and initiatives undertaken young women to provide support and help for victims of misogynistic, physical and/or sexual violence. The #MeToo movement that started in the US after sexual violence testimonies against Harvey Weinstein, but that took a global scale to combat sexual harassment and violence is one example. But women are marching worldwide to speak-up against such cases and for their rights. In Albania at least three protests for women’s rights have been organized since summer 2018, and another one will be taking place on March 8th, the International Women’s Day. UN Women Albania is also organizing the first International Women Film Festival in the framework of women’s day. Six films will be screened at Kinema Millenium in Tirana from March 8th through 11th, with free entrance for viewers. “One in two women in Albania experience at least one form of violence in their lifetime, physical, psychological or sexual. This pandemic devastates lives, causes untold pain and suffering. The UN Women country office in Albania, in partnership with the Albanian National Center of Cinematography, is organizing the first ‘Women International Film Festival’, focusing this year on the theme of gender-based violence. The event will start on the 8th of March to mark International Women’s Day. A variety of documentaries, long and short movies by various international and national cinematographers, will be shown free of charge for the audience. This festival will give the opportunity to the public to see and reflect on the deeply rooted inequality in the roles, rights and opportunities of men and women, attitudes and social norms that normalize such violence, and the way they are portrayed in various countries.” writes UN Women Albania in its brochure. March 8th, 6 p.m., Die Fremde (Germany): The movie examines one woman’s struggle for personal freedom. It is a riveting and heartbreaking story of a woman trapped in an abusive relationship, who must not only free herself from that marriage, but also the cultural prejudices and judgments that would keep her there. March 9th, 5 p.m., Ivan (Slovenia): After a young woman gives birth to Ivan, a chain of unexpected and nerve wrecking events begins. She finds herself in an impossible situation when she has to choose between her lover and her child. A personal drama placed in Slovenia but could have taken place anywhere. March 9th, 7 p.m., Three Windows and a Hanging (Kosovo): In a traditional village in Kosovo, the female school teacher admits in an interview that she and three other women from the village were raped during the war. When the men of the village find out, they start a hate campaign against her. A reflection of rituals showing gender inequality, lack of freedom of expression and patriarchal mentality. March 9th, 8:40 p.m., Ajo (Her, from Kosovo): To escape an early marriage and to protect the mother by her aggressive father, Zana has to make a courageous decision. The film is about domestic violence, gender roles and male-controlled traditions. March 10th, 7 p.m., Jaha’s Promise (Ireland): The story of a young woman’s battle to eradicate the practices that almost destroyed her life: child marriage and female genital mutilation. The life and activism of Jaha Dukureh who at 15 was married to a middle-aged man she had never met before. Over 200 million women in the world live with the devastating consequences of female genital mutilation, which is still being practiced in 30 countries. March 11th, 2:30 p.m., Netizens (USA): NETIZENS expose the proliferation of cyber harassment faced by women, from the web to the most intimate corners of their lives. As the internet becomes the next frontier of civil rights, this feature documentary follows three women, targets of harassment, along with legal experts and others, as they confront digital abuse and strive for equality and justice online. [post_content] => TIRANA, Feb. 22- UNESCO has assigned Feb. 21 as the International Mother Tongue Day, a day celebrated in all the countries worldwide. The aim of this day is the appreciation of the language as the the most important tool in preserving the cultural heritage of each people, and the need to cultivate the mother tongues of various world ethnicities, which are part of the cultural treasure of civilization. Considering the Albanian language on this day, as the mother tongue of Albanians wherever they might be living, we can gladly point out that its status for the past 100 years has been increasing. After being a forbidden language during the Ottoman Invasion it became the official language of Albania after the Declaration of Independence in Nov. 28, 1912. 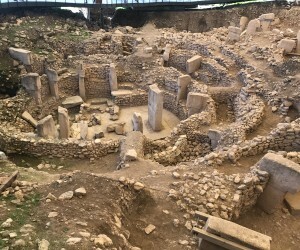 However, it still remained forbidden in some areas of the nation which became part of Greece and Serbian-Croatian-Slovenian Kingdom by violence. This condition was bettered after the second war world when Albanians of Kosovo, Macedonia, and Montenegro won the right to education in their mother tongue. They opened Albanian speaking schools in all levels, up to the University of Pristina and the Albanian language department of the Skopje University. The 1974 Yugoslav constitution recognized Albanian as the official regional language in Kosovo, and as the parallel official language in Macedonia. After Kosovo was declared independent in 2008, Albanian became its only official language. In Macedonia, the language was a regional language from the ‘80s, until 2018 when the country’s parliament approved Albanian as another official language within its borders. Beyond these borders, in Montenegro Albanian is a recognized official regional language for the minorities, supported by the government. In Greece however, for the Albanian minorities the language remains unsupported by the government, yet, the children of immigrants can still learn it by their parents. In Italy with the Arberesh people the situation remains the same as in Greece. And in Turkey, which also has a large number of Albanian immigrants, the government doesn’t allow their children to learn Albanian. The Albanian language has progressed a lot in these past 100 years, especially in its refinement scale. From a language with a few literary variations and two official dialects (toske in south, and gege in the north), from 1972 its has elevated on the national literary levels, accepted from all the territories of the nation. It was the Consulate of Pristina, which in 1968 took the major step of language unification. Intellectuals united under motto “one nation-one language” declared that Albanians in Yugoslavia would accept only Albanian as their official language. The Orthography Congress ratified their decision, ending thus a period when Albanian would be written in different variations, and thus a new era with a single national language begins. This Congress has been appraised for its contribution to possess and apply the spoken and written Albanian language in all the country’s legal activities. The Consulate imposed on schools, publishing houses, editorial offices, newspapers, administration, etc., on the Albanian regions within Yugoslavia to start using the Albanian language. In Albania this obligation became obligatory in 1978 under a government decision. After the post-90s subversion of the mono-partisan political system and the passing in a pluralistic one in Albania, it is noted a lack of care for the language from the government and society. This was followed by a constestation of the literary language with trial to create new ones. In both written and spoken lecturing practices, this situation unfortunately is noticed even nowadays. This is unforgivable as the constitution obliges the protection of the language as a state duty. A comparison can be made with Macedonia, which follows punishments for those publishing houses, newsrooms or institutions (say) that disrespect the language. Such a law is missing both in Albania and Kosovo, even though a bill is sent for revisal in both parliaments. As a consequence of this lack of state care, publications, newspapers, magazines, televisions and official documentations hold inexcusable, dramatic violations of literary norms. A more grave violation is the appropriation of foreign words in dictionaries. This has caused a fading of the language, foreign words replacing many beautiful Albanian ones, which might be lost from our collective memory; and that is a pity as our language remains one of the oldest and most unique language in the globe. In the sphere of spelling there is a massive disuse of the letters “ç” and “ë” which come from the technological chatting applications, but also from a lack of respect for our alphabet, for which our ancestors died to protect. Televisions are now filled with foreign accentology, stressing on the first syllable of the words like in English, whereas the Albanian language model follows an ending accentuation. This has caused a spoiling of phraseology metrics and melody, which sounds more to an Albanian-English-Italian surrogate. The International Mother Tongue Day was the perfect case to voice to schools, press, and everyone involved in public lecturing to respect our language, which is our most unique distinguishable trait, and what unites us Albanians in one nation. [post_content] => TIRANA, Feb. 25- In the rail of political and cultural movements within and outside Albania during the 19th century for the unity of the nation and the Albanian education, it should be pointed especially the meeting of some northern clerics in 1893 in Shkrel of Malesia e Madhe, headed by Dom Ndoc Nikaj, and the pastor from Shkreli and Mirdite’s abbot, Preng Doci. According to Nikaj who was a witness of the time, this was a secret meeting to which ending the national association “Bashkimi Shqyptar” (Albanian Unification) was created. Nikaj writes that this meeting “had the duty to unify Albanians regardless of religion or ancestry.” The main idea was to unite Albanians through their language. Thus, in Shkoder in 1899 this society took its full official disclosure, headed by aboot Preng Doci. Many clerics met there, with the main purpose to spread the Albanian language as much as possible through the press, increasing the publishing of books using the latin alphabet, patriotic actions, all of which served as preparation for the Independence Declaration in 1912. Clerics that took part at the “Bashkimi” association establishmet were Monsignor Preng Doçi, Monsignor Lazer Mjeda, Dom Jak Sarreqi, Father Gjergj Fishta, Dom Ndoc Sheldia, Dom Gjon Koleci, Dom Mark Shllaku, Father Pashk Bardhi, Dom Ndoc Nikaj, Dom Dode Koleci, Dom Mehill Cuni, and also seculars Mati Logoreci, Gaper Beltoja, Ndue Paluca etc..
After the 1635 vocabulary from Frang Bardhi and the 1904 one from Konstandin Kristoforidhi, the most important Albanian lexicography work until the mid 20th century is definitely the “Fialuer i rii i Schypes” (the new Albanian vocabulary) from the “Bashkimi” association published in 1908. This vocabulary was recently published in Lezhe in a commemoration for the 120th anniversary of the establishing of this society. The commemoration in Lezhe followed a photo-exhibition with the most important figures from the society, along with the vocabulary which holds 14 thousand words. The vocabulary was published by the publishing house Gjergj Fishta in Lezhe under the care of Dom Nike Ukgjini. The cleric said that it was necessary for the Albanian culture that this vocabulary to be published. Ten years of intensive research and work were dedicated to fill this lexicon with all the dialectic words from northern Albania, but which also holds words outside from that geographical area of the country. “Thus it was made a codification to a vocabulary which had a great value at the time, and for whicwhich all the members said that this was only the first step, because the dictionary should be perfected, should collect words, should be added new notes, the lexicon especially should be harvested, and in the future a complete version would definitely be published,” said Ukgjini, regarding the vision the “Bashkimi” members had for the lexicon. Frano Kullo from the Gjergj Fishta publishing house said that this vocabulary must have been initially published in Jan. 9, 1908, considering its introduction. Kullo said that scholars appreciate this work as the epitome of the Albanian lexicography until that time, which crowned the work previously done by the aforementioned vocabularies. Prof. Xhevat Lloshi also appreciates this work, especially regarding the knowledge level of the Albanian lexicon at the time. Faik Konica declared in 1904 that “Bashkimi” was preparing the fullest Albanian dictionary from all published so far, with the idea of enriching the language. As “Bashkimi” remains the first Albanian language institute, its program also foresaw other linguistic works. It gave a hand in publishing a bunch of literary works as well as some school texts. Dom Ndoc Nikaj wanted as many books published in Albanian, so people could start reading and learning the language, be acquainted with ideas, events and the history of the country. Dom Nike Ukgjini said that “Bashkimi” published 32 works related to the Albanian education until 1908. Through these publishings, it was aimed that the Albanians all around the territories would become more unified against the Ottoman Invasion. [post_content] => TIRANA, Feb. 28- The State Filmography Archives (SFA) has initiated a cycle to resurface films from the reserved collections from its funds, Albanian or foreign, introduced under a new light. The program is titled “Film Archive Treasures” and it’s a series of film screening at the Kinema Agimi in Tirana, with which the SFA is collaborating with. All the films are curated and are introduced to the public prior screening. The projections are 35 mm, with English subtitles for Albanian movies, and Albanian subtitles for foreign films. When the screenings are over they are followed by a conversation and/or commentaries by the professors, directors, scholars, journalists, or film-junkies attending. This would offer the public a new perspective of the film in 2019, as in the message the work gives, the social-cultural--political-ideological analysis, and also the technic accomplishment. The cycle started on December 2018 with three films, Smiles of a summer night, a 1955 film by Ingmar Bergman; Shpresa (Hope), a 1989 film by Eduart Marki to which he was invited; and The official story, by Luis Puenzo, made in 1985. The second cycle of screenings started on February, 2019. This month three films have also been screened, Ne flaket e revolucionit (Revolution flames), a 1967 film by Endri Keko screened on Feb. 13, to which Ardian Ndreca was guest of honor; Riso Amaro by Giuseppe De Santis, made in 1949 and screened on Feb. 20, and Skëterrë ‘43 (Inferno ‘43) screened on Feb. 27.. 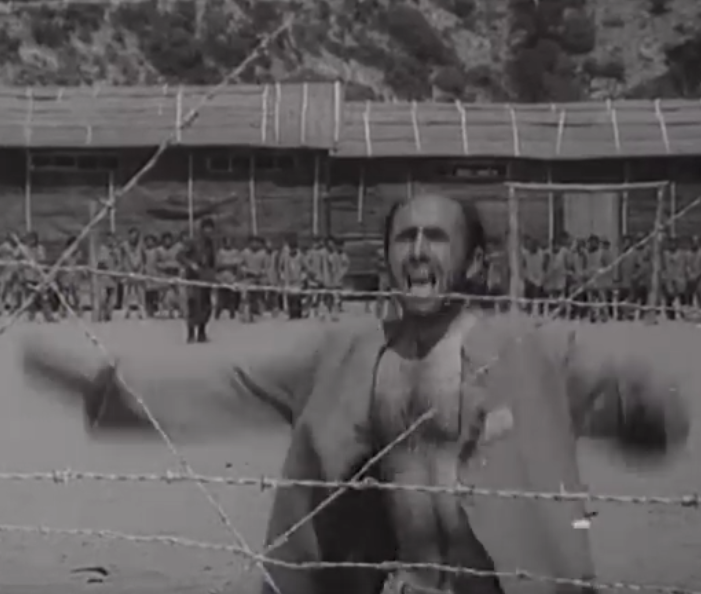 The film Skëterrë '43 was made in 1980 with a script by Bashkim Shehu and directed by Rikard Ljarja. The film is based on events happened in Albania during the second war world. Technicians from Kinostudio built a real-life Italian prison near the seaside for this film. This film features some of the most renowned actors of the time, such as Rikard Ljarja, Xhevdet Ferri, Birçe Hasko, Agim Qirjaqi, Violeta Dede dhe Mario Ashiku, starring in memorable roles. Skëterrë '43 is marked by Saim Kokona's bold cinematography and an extraordinarily tough score by Zef Coba. Revolts happen in an Italian concentration camp in 1943 against the barbarous and terrorizing methods. Prisoners profesor Hekuran, Ariani, Mira, Shpresa, rebel, organize and start contacts with resistance groups outside the camp. With strong resistance, they manage to destroy the fascist inferno. This is the synopsis of the film. It is intimated that by using fascism as a pretext, the movie actually refers and implies to the communist methods. The film at some point stopped being screened after it was made, because Bashkim Shehu is the son of Mehmet Shehu, former prime minister during the communist regime. Enver Hoxha accused Mehmet Shehu of being a foreign agent, but he committed suicide in 1981, (which some assume it to be a murder, due to its mysterious circumstances). Hoxha had already started an ideologic purging campaign against art, publishings, music, cinematography. In December of 1981, Bashkim is sentenced to 10 years of prison for distributing subversive propaganda and “being the son of the people’s enemy”. His sentence is reduced to eight years om 1989, but still being under house arrest. After the regime fell in 1991, he returned to Kinostudio until 1993, then left to study sociology at the University of Budapest. When he returned, he became a monitor for the International Helsinki Federation for Human Rights, but in 1997 he left again, and settled in Barcelona. He worked as an advisor to Center of Contemporary Culture of Barcelona for 10 years, and now works as a freelance writer from there, also translating English, Spanish and French works in Albanian. [post_content] => TIRANA, Feb. 26- The Francophone Spring will launch another edition during March 2019, a tradition celebrating the French language and culture, and the friendship between Albania and France. This year also corresponds to the eighth edition of the International Cinema Festival in accordance with this tradition. The French Alliance for the Embassy of France in Albania writes in its activities editorial that “Francophonie means men and women that have one mutual language, French!” The number of French speaking people around the world has reached in 300 million persons. This mutual linguistic space favors the reciprocal exchange and enriching, and also participates in the promotion of diversity and common values. The 2019 program of the Francophone Spring illustrates this heritage through the various activities that will expand in the whole of Albanian regions during March. Cinema will hold the place of honor with the screening of nine films. These are seperated in two cycles, “classics of French cinema” and “Francophone countries cinema” (France, Slovenia, Canada, Switzerland, Egypt, Romania). The program will also include theatre shows with Jean Anouilh’s Antigone. Classic music, jazz and electronic will be organized in four nights for the pleasure of participants. Adding to it there will also be French literature readings and two meetings with French writers and poets. The editorial also mentions that arts and culture aren't the only spectrums on which Francophonie is seen. In it are included also the values, sharing of ideas and debates over them, scientific research, and cultural exchange. In this framework the Francophone Spring will be also organizing conferences on the female and male equality, women’s forum, an economic forum, round tables in universities, and also a dinner with French style gastronomy. In Albania Francophonie is represented by French language teachers and students, and also actors to multi-linguistics and European integration. The program will start on March 4 with a series of short films on gender equality. The event will take place on Kinema Agimi, and it will be followed by a debate on the progress made on gender equality and its long-term objectives. In the same topic on Mar. 6 there will be Francophone women’s forum at the Foreign Languages Faculty. The film “Women and Power” will be screened, followed by a debate regarding what position do women hold in the political, economic and academic sphere, on which there is still a majority of men in power. Another cinema night will take place on March 7, followed by a music night in Kino in March 9 from French-Belgian DJ Haring, with his attractive, dreamy and melodious trademark sounds. On the same day the Experimental Theatre of Tirana will stage Antigone, which will be in Albanian. More film cycles will be organized along that month regarding humans rights issues and children’s rights. An economic forum about Students and Entrepreneurship will be organized at the Europe House on March 13, to introduce students to various companies and their hiring policies. On the same day at the Polytechnic University will be organized the Book Day, appreciating the book as a connecting bridge between France and Albania. 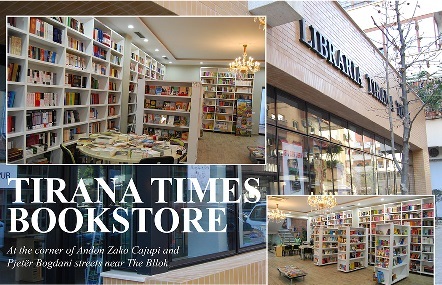 French poet Laure Cambau, and Albanian writers Luan Rama and Ylljet Alickaj will discuss about literature at the event. 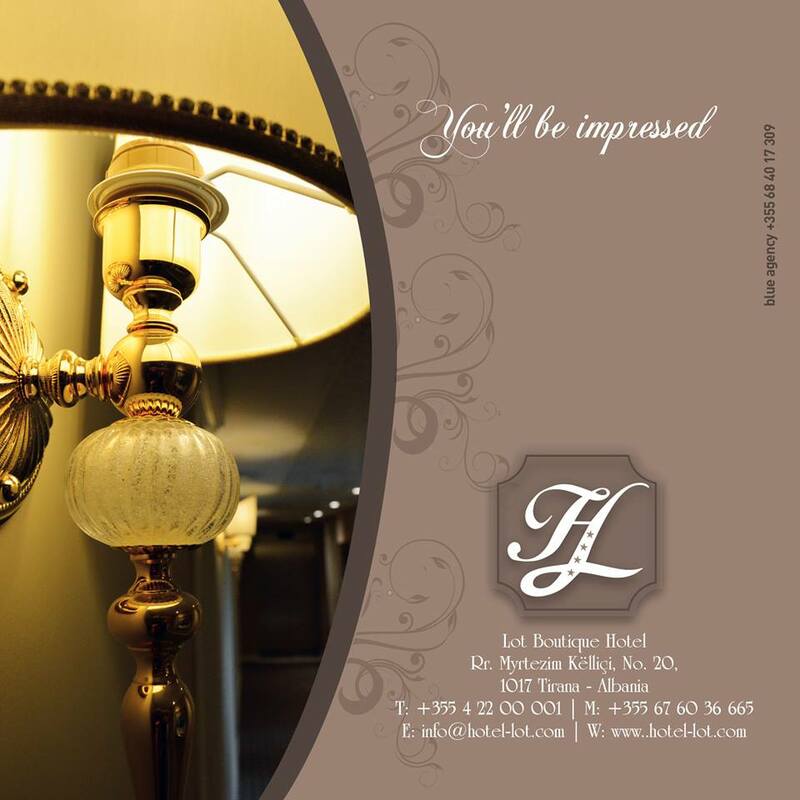 The gastronomy night will be on March 21 at the Xheko Imperial Hotel, and other restaurants around Albania. Europe House will host on March 25 another forum, the round table about Basic Skill and Professional Integration. This forum will focus on communication skills, group work, decision-making, sense of organization, etc.. Professionals from the public and private sector will join to share their experiences with the participating students. On the same day there will be a classical music concert titled “With the pace of time,” at the Aula Magna of the “Liria” building. March 27 will bring a literary meeting with travel writer Cedric Gras at the National Library, who will talk about traveling and exploration. On the 28th the Center for Openness and Dialogue will host an exhibition titled “10 French words,” followed by a short film screening. The exhibition is a display of murals made by Albanian students who study French. On the same day The Black Box near the Arts University will host a musical concert by pianist Pierre-Yves Plat, followed on the 29th by the last film cycle. The Francophone Spring is thus enclosed on the 30th by two concerts, the Finale of French songs competitions at the Experimental Theatre, and a classical concert at the Orthodox Cathedral. The national orchestra will play music by French composers Gabriel Faure and Cesar Franck, and will be conducted by Martin Lebel. [post_content] => TIRANA, Feb. 18- The “Marubi” National Museum of Photography in Shkodra has opened an exhibition curated by Dutch art historian Kim Knoppers, which displays a selection of images of the Marubi archive dating from 1856 to 1959. This exhibition is only displaying a selection of a few tens of pictures from the archive 150 thousand negatives. The “Dynasty Marubi: A hundred years of Albanian studio photography” is organized in collaboration with FOAM Museum of Photography in Amsterdam. It has been previously exhibited there in 2016. Knoppers is also a curator from this museum. Some of these pictures are being displayed in Albania for the first time. The exhibition brings historical testimonies of past events in the country, and also the development of the Albanian art of photography. They represent various portraits people from bourgeoisie and poverty, from Ottoman emperors and Albanian kings, and also portraits of famous actors, painters and artists of the time. “This exhibition comes after a considerable research done by curator Kim Knoppers on the Marubi archive. Like we can see in these pictures we find a chronology of the studio’s journey through Pietro, Kel, and Gege Marubi,” said Lucjan Bedeni, director of the “Marubi” Museum. Bedeni distinguished among the many pictures, an image from 1922 taken at the studio of the Marubis. This picture portrays the attention that the photographers paid to the documentation of historical moments. Bedeni said this is one of the most famous pictures from the renowned Albanian photographers. 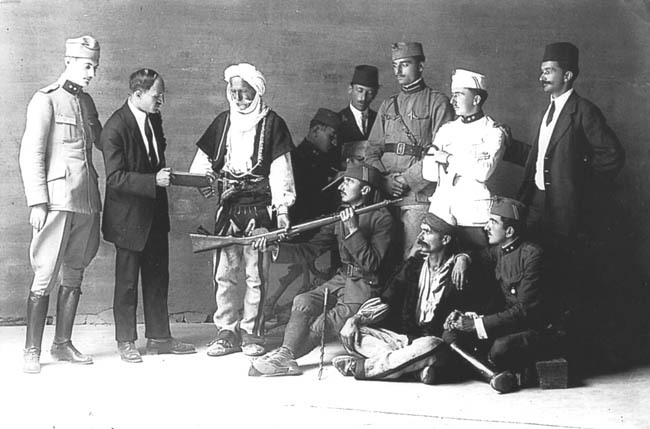 The photograph taken by Kel Marubi is called “Captain Mark Raka and the Bayraktar from Shala,” and it mirrors the “delivery of weapons.” The situation is real, as it follows a law imposed by the then-government that citizens had to hand in their weapons, so those who shouldn’t be carrying weapons would be disarmed. The picture itself however, depicts the situation in a staged environment at the Marubi studio. Some of the persons involved under such a law, gathered at Kel Marubi’s studio to compose the moment so it can be chronicled as an incident. “Another important fact about this image is that it is included at the British photography enciclopedia, ‘Photo Book’ (2000), of 500 pictures from that century,” said Bedeni. “Marubi” Museum will be hosting two more exhibitions throughout 2019. The year’s event, as Bedeni said, will be a following exhibition with pictures of photographers from southern Albania. Works of these photographers haven’t appear in a single joint exhibition before, and especially in a national photography museum. Thus, “Marubi” will be displaying a collection of images that will give a fuller historical and cultural insight to the public.The last exhibition though, will be a reference program for emerging artists. This will be in collaboration with the Art House School, which has been organizing this program. “Marubi” National Museum of Photography opened in 2016 and has since organized a variety of photo exhibitions for the public, which have attracted a wide recognition. It has also collaborated with foreign photography museums for joint exhibitions, such as “Dynasty Marubi,” the reference program, or the very recent exhibition at its quarters “Nadar, convention and caprice”. The “Dynasty Marubi” opened its doors on Feb. 15 and will remain open until June 2. [post_content] => TIRANA, Feb. 20- Young Thomas Simaku would take his utensils and use them as drumsticks at the dinner table. His mother thought it was his signal of hunger, but his uncle noticed a musical talent in him. Simaku was born in Kavaje in 1958 and grew up surrounded by music. He would dance at the week-long weddings, to which orchestra his uncle was a clarinet player. He was sent to the music school of Durres when he was 14 years old to study oboe, accordion, harmony & counterpoint. But until then he was faced with multiple influences from all his surroundings, as from his uncle and his musician colleagues, but also from the local cinema. He would watch the films he liked multiple times and learn the dialogues by heart. What has stuck him most was a portrait of renowned Albanian actor’s portrait Aleksander Moisiu, at the hall of the cinema. “Looking at Moisiu’s portrait and seeing his captivating pictures in various roles (he played, among others, Hamlet, Oedipus, and Faust) was very inspiring, as if he was saying to me ‘you cannot imagine how beautiful the world of art is!’,” recalls Simaku. After the music school in Durrës, Simaku enrolled in the State Conservatory of Music in the capital Tirana, studying composition. It was very tough to get a place in the conservatoire during the communist regime, and: the year he got in, there were only four places in composition. He studied under Tonin Harapi there who himself had studied at the Moscow Conservatoire. Simaku recall Harapi as a wonderful human being with a sharp sense of humour. Simaku said that Harapi didn’t want his students to write the music that he wrote, so he ‘let them free’ to pursue their own interests. That was a bit difficult in a Stalinist regime where Stravinsky, among others were banned. But Debussy, Prokofiev and some Bartok were allowed, so Simaku would listen to them, and managed to hear the ‘Firebird’ secretly. “It was a strange feeling of awe and apprehension, created by the raw quality of the music of Firebird, and the fact that it was banned! I also liked the music of Feim Ibrahimi, who I felt was at the sharp end of the Albanian music of the time. I seem to have had an appetite for ‘spicy’ sounds in those days,” recalls Simaku in delight. He moved to England in 1991, when he was 33 years old. He didn’t know any English, so he used French, but people around him weren’t very fond of that. Because he couldn’t afford any language courses, he autodidactically learnt it within six months using an English-Italian vocabulary, since many words from the two languages shared the same root. Yet, he had to start all over again. As postgraduate studies he enrolled at York University for a PhD in composition, where he studied with David Blake. Blake introduced him to the Second Viennese School, where Simaku immersed himself into the music banned in Albania. Bartok, Stravinsky, Berio, Boulez, Birtwistle, Xenakis, Lutoslawski et al., have all had their input during his study years at York. But it was with the music of Ligeti and Kurtag that Simaku felt he discovered something very special, which was more than an inspiration to him. From the many challenges Simaku faced, he mentioned a case when he applied to settle in England as a creative artist. However, in order to get this status he had to wait for nearly three years. During that time his father died, and he didn’t attend the funeral because none of his relatives told him. His mother decided not to tell him, because she knew that if he would leave the country whilst his application was under consideration by the Home Office, he wouldn’t be able to return. “She knew how much it meant to me studying at a western university,” said Simaku. Now Simaku was the Leonard Bernstein Fellow in Composition at Tanglewood Music Centre, USA studying with Bernard Rands, and a fellow at the Composers’ Workshop, California State University with Brian Ferneyhough. Thomas Simaku’s music has been reaching audiences across Europe, the USA and further afield for more than two decades, and it has been awarded a host of accolades for its expressive qualities and its unique blend of intensity and modernism. He latest piece was written for six musicians of Klangforum Wien. His latest String Quartet (No 5), commissioned by the HCMF and first performed in 2015, was written specifically for Quatuor Diotima, will be recorded later in 2019 for a new CD with the Swedish label BIS Records to be released in 2020. He has also composed The Scream for String orchestra based on the iconic painting by Edvard Munch, which received its world premiere in 2017 performed by the BBC Concert Orchestra. “I can see the picture here,” recalls Simaku having been told by the BBC producer. Other works include, ENgREnage for Violin & Piano written for Peter Sheppard-Skaerved and Roderick Chadwick; Klang Inventions written for and dedicated to Klangforum Wien; L’image oubliée d’après Debussy, written for James Willshire in response to a commission by the Late Music Series in York to commemorate the centenary of Debussy’s death, and La Leggiadra Luna for mixed choir a cappella, which received its world premiere by the 24 vocal ensemble at the University of York. La Leggiadra Luna will be premiering at the 2019 ISCM Festival in May, where it will be performed by the Grammy Award-winning ensemble the Estonian Philharmonic Chamber Choir. This is a setting of a poem by Sappho, translated from ancient Greek into modern Italian by the Nobel Prize-winning Sicilian poet Salvatore Quasimodo. “I could say that an important characteristic of my musical language is putting together elements from disparate musical cultures. Often, complex chordal structures or multi-layered textural formats are reduced to just one single note which becomes a kind of ‘atomistic compression’ with a magnetic quality, as it were, around which various colouristic elements orbit freely,” said Simaku regarding his musical language.